Over the last five years, few franchises have grown faster than Tim Horton’s. So, it’s fitting that this national coffee icon uses a Canadian product. 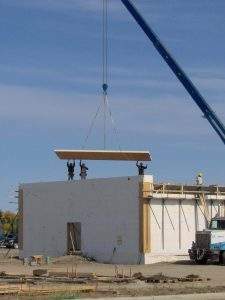 Insulspan keeps Tim Horton’s buildings durable and energy efficient. It’s why the storied shops stay welcoming and warm in the winter and refreshingly cool in the summer. The buildings have SIP roof systems from Insulspan. Throughout Western Canada, Insulspan® SIPs is now the product of choice for the Tim Horton’s roofs. SIPs, along with the Advantage ICF System®, create a solid, soundproof, and energy efficient foundation and walls. 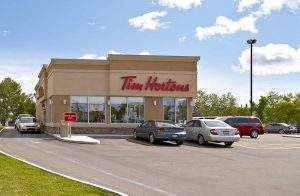 Subsequently, both products are part of the process when TDL Group, the design wing of Tim Horton’s, request bids from general contractors. Once the contract is signed, Insulspan staff swing into action, measuring, creating, and installing the final product—quickly. Speed is of the essence. A new Tim Horton franchise can have foundation, walls, and roof in only 20 days. That’s something we can all raise a coffee to.